Learn More Professionalism, Quality,and Competence. Increasing project success and complexity together with the growth of long-term client relationships. Our field employees are drug tested and trained. 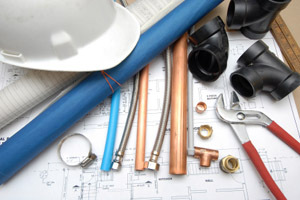 They consist of Licensed Master Plumbers, Licensed Journeyman Plumbers, Apprentice Plumbers, Plumber Helpers, Certified Medical Gas Installers, Certified Backflow Prevention Assembly Testers, Welders, and Concrete Finishers. Our office staff is professionally trained in supporting the field with project specified material and fixtures. AllService Plumbing and Maintenance is a minority owned and professionally operated business with over 50 years of combined experience. We are insured and bonded and have been locally owned and operated since 2003. Our company is built on professionalism, reliability and commitment. Our goal is to build a long relationship with our clients by providing quality, professional and specified work at a fair price. AllService Plumbing & Maintenance, Inc. is committed to your satisfaction in resolving your plumbing issues. We offer discounts to our Senior Citizens and Military Personnel. We also provide warranties on all performed work.